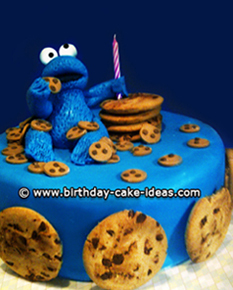 Take a look at our Birthday Cake Decorating Ideas! Step away and out of your normal cake decorating routine and try something new and fun for your next big birthday event. Decorating a birthday cake does not have to be a burden but merely an adventure to creating the perfect birthday cake decorations and designs. Birthday cake decorating ideas often seem impossible to come up with. Really, they are NOT! They are everywhere, just look. Think about the person you are creating the cake for, what are their hobbies; are they a fun and silly person, what is their favorite color? You can create the ultimate and yummy birthday cake decorating ideas from these simple questions alone. 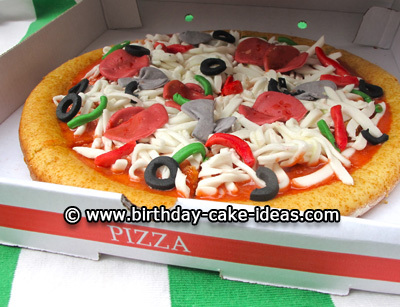 Many times, your birthday cake designs and decorations will come from the birthday parties theme. Themes like, fairytales can host cakes like princesses, mermaids, castles, swords, pirate ships and many more. These are all very easy to decorate not to mention a load of fun too. Other popular birthday cake decorating ideas are; fruit baskets, beach scenes, formal style cakes, modern style cakes, single tier and multiple tier cakes. You can use just about anything eatable to decorate your cake. For instance, let's talk the pirate ship cake. You will use your cake for the ship itself but to create your "railings" you can use some sort of pretzel snaps. For your flag poles, you can use pretzel rods. To ice the cake, you can use buttercream icing or use fondant for a smoother look. Gumpaste, candy and colored sugar would also work well on this particular cake to create maximum detail. There are many tools available to help you create and perfect the look you are going for on any birthday cake. If you simply want to use icing, you can use a wide variety of decorating tips that are available at many stores, even you grocery store carries a limited supply of them. 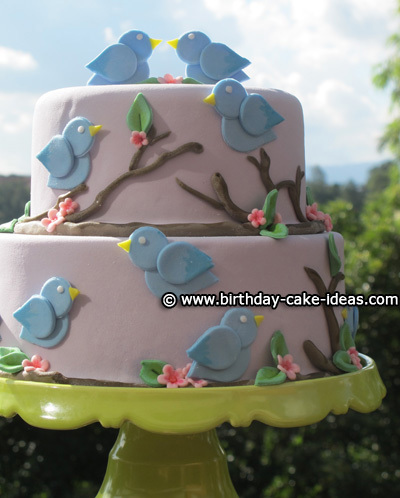 Fondant Icing- creates a smooth "canvas" to work with in many colors. Fondant also works great for creating life-like figures for your cake. This is a great tool to use for your simply to extravagant birthday cakes. Candy- Use candy to set the scene on your cake. Colored Sugars- Colored sugar can be used for many things. Simple and goes a long way. Create a sandy beach look with colored sugar. Fruit- Fruit is a great tool to decorate a birthday cake with. From the kiddos to the more sophisticated of adults, you can create a beautiful cake using fruit. Using only buttercream icing with decorating tips and any type of fruit you like, you can create the ultimate fruit basket cake! YUM!! It will look too pretty to cut! Gumpaste- you can create divine and flawless flowers using gumpaste. Possibilities are endless when using gumpaste. Modeling Chocolate- can be used similar to gumpaste and fondant. Simple to make and easy to work with, modeling chocolate is a cake decorator's best friend! No matter the scene you are looking to create, there are more than enough tools to help your birthday birthday cake decorating ideas come to life. More than anything, it is important for you to enjoy the process and use what works best for you.